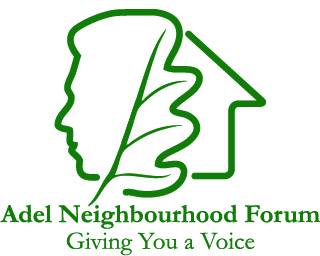 At the AGM on 18th July 2018 Members of the Adel Neighbourhood Forum unanimously elected Ian Bond as its Chairman, Jeremy Emmott as Vice Chairman, Cllr Caroline Anderson as Secretary and Graham Bond, no relation to the Chairman, as Treasurer. There were special tributes to Nick Brown, who had stood down as Co-Chairman, for his considerable contributions to the Adel Neighbourhood Plan right from the outset of the project. There were about 50 residents in attendance at the Old Stables, Adel Parish Church Hall. After the AGM there were presentations on the main issues. Formal minutes to follow. This entry was posted in Adel Neighbourhood Forum News.